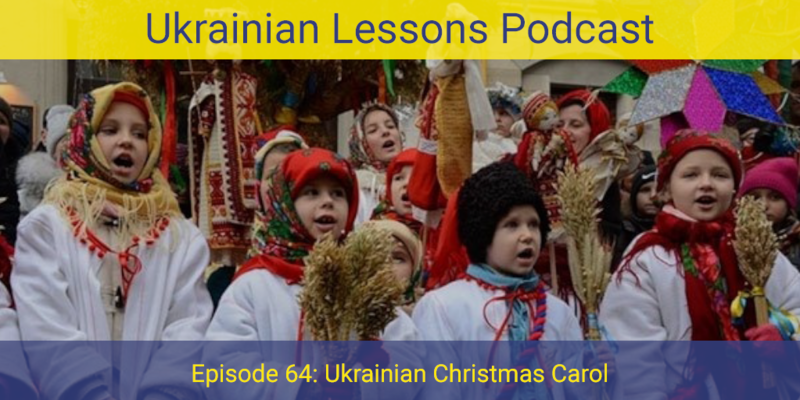 Learn and sing a Ukrainian Christmas carol with your teacher on Ukrainian Lessons Podcast! Нова радість стала is one of the most popular Christmas songs in Ukraine, so you could impress Ukrainians by performing it 🙂 З Новим Роком і Різдвом Христовим! learn a popular Ukrainian Christmas carol Нова радість стала with your teacher’s explanations and singing! discover the difference between колядки і щедрівки – kinds of Christmas songs in Ukraine. Bonus Exercise: practice identifying the cases we’ve learned on the podcast in Нова радість стала! Vocabulary List: important words from the episode in a chart with English translation.